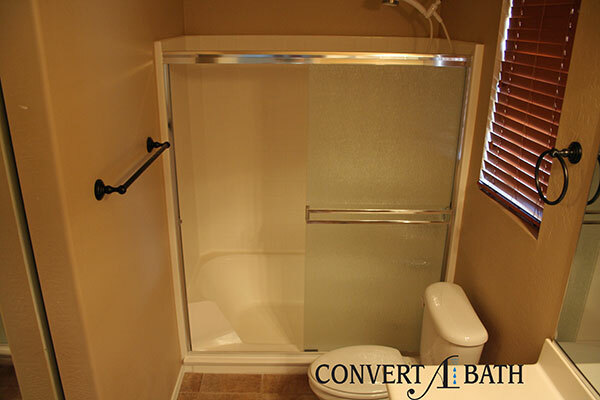 Tub to shower conversions are a great way to provide a safe and accessible shower. It is now possible to step into a shower rather than being forced to step over the bathtub. It is an easy step into the shower instead of the fear of falling. 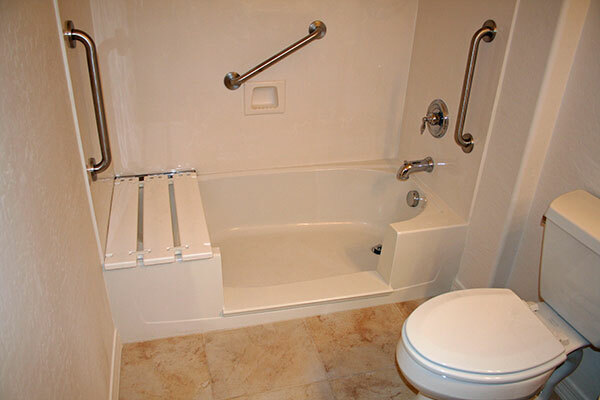 We can also provide grab bars throughout your bathroom to provide additional safety. 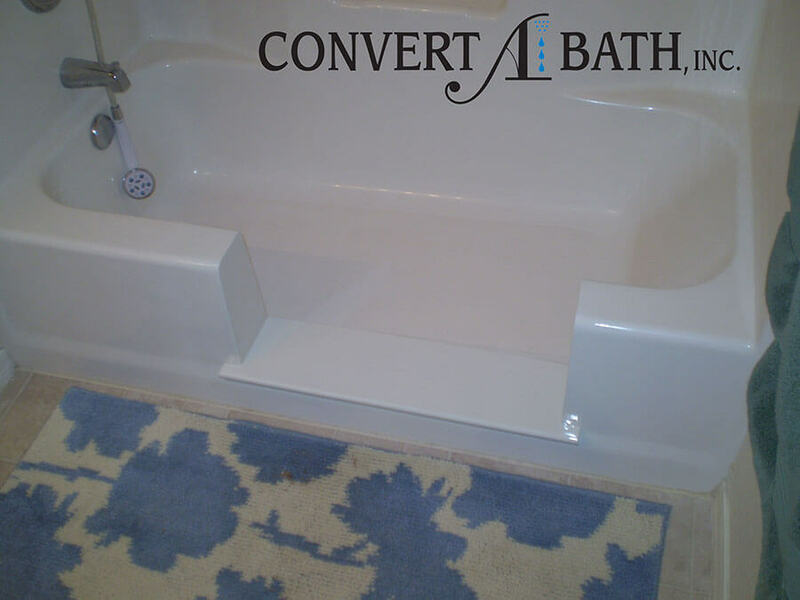 Convertabath®’s walk in bathtub conversion will cost thousands less than traditional remodeling. We can easily restore the bathtub should your needs change. Any bathtub can be converted, whether it’s cast-iron, steel, fiberglass, acrylic or cultured marble. For a full cut conversion we remove the entire front of your bathtub and make it a traditional walk-in shower with sliding doors. 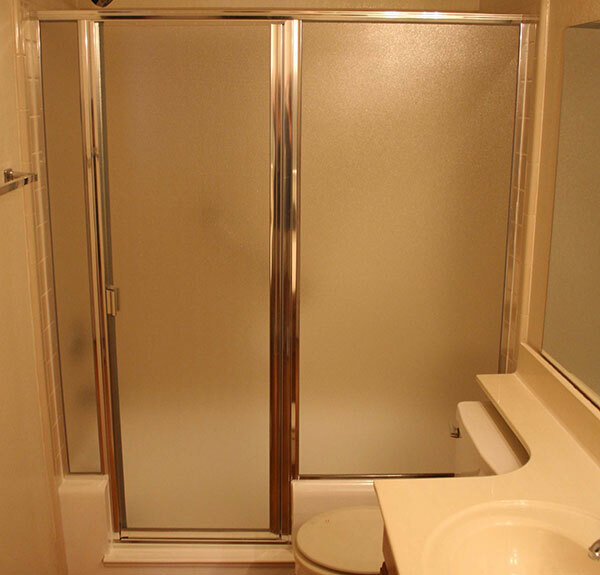 For a notch cut with door conversion we remove a section from the front of your bathtub and put in a hinge door. For a notch cut conversion without shower doors, we can place the notch virtually anywhere along the front of the tub for ease of access.